"When I first joined the American Peony Society board, I was asked to become the Publicity Chair for the APS. Unsure of the duties and responsibilities for the role, it seems I assumed by default a role that no one else claimed. This year my goal has been to get peonies planted at a local arboretum here in Raleigh, NC. The project is going well, and in the back of my mind I was hoping to continue the program, finding a new arboretum or public garden in need of peonies each year. The APS president, Dana Tretheway commented to me that I was doing a great job as a Publicity Chair working on this project to get peonies installed at a public garden. I guess I never thought of it as a part of my Publicity Chair duties. I just wanted to spread the love of peonies everywhere, but I guess that does kind of fit. 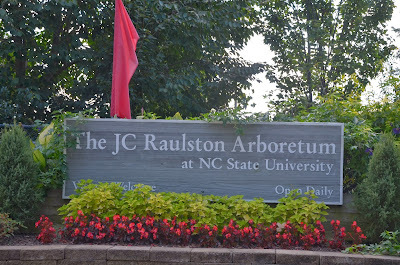 When I first approached Mark Weathington of the JC Raulston Arboretum in Raleigh, NC, he seemed a bit reluctant and not quite as enthusiastic as I’d hoped about the prospects of so many new and free (to him) peonies. After several email exchanges I was able to set up an in person meeting with him to discuss the possibility of a peony donation on behalf of the American Peony Society. Since I am a board member local to his garden, I was willing to donate several varieties myself, and wanted to ensure the project would be a success. When I met Mark in person at the JC Raulston Arboretum, we got along fabulously, and after our discussion he seemed much more excited about the prospects of a large peony donation to his garden. The mission of his Arboretum is to educate the public on varieties of plants that perform well in the garden that they may have not have seen or been introduced to before. I thought that was perfect and informed him of the American Peony Society’s Award of Landscape Merit program which selects peonies “chosen for superior ornamental value, overall appearance in the landscape and throughout the growing season, and reliable performance across North America”. Mark was quite excited to hear about this APS award and didn’t realize we had such a program. I also talked with him about our Gold Medal selections, and we discussed how and where these peonies might fit into his landscape. 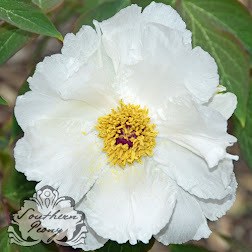 There are several different garden sections or rooms at the JC Raulston Arboretum, and Mark seemed to be interested in trying to fit peonies in all of them. He inquired about Itoh intersectional peonies since he’d heard how these were the latest and greatest peonies. However he did not have any in his collection. There is an Asian Valley garden that he was interested in adding some Asian tree peony cultivars and a rock garden that he wanted to add rock garden peonies too. For someone who didn’t have very many types of peonies currently represented at his garden, he sure was interested in all the different type of peonies. After walking the garden together, I believe we only found 5 different types of peonies in the garden. After our meeting I asked Mark how many peonies he could plant if the APS board members were able to donate peonies for him. He said he could plant 40 or 50! Wow, that was great news! So off I went to solicit donations for the JC Raulston Arboretum. With the collaborative effort and good will of several APS members and a local plant nursery, we were able to donate over 40 peony varieties to him including APS Award of Landscape Merit selections, APS Gold Medal selections, Itoh Intersectional varieties, and several herbaceous peonies that would grow exceptionally well in North Carolina. 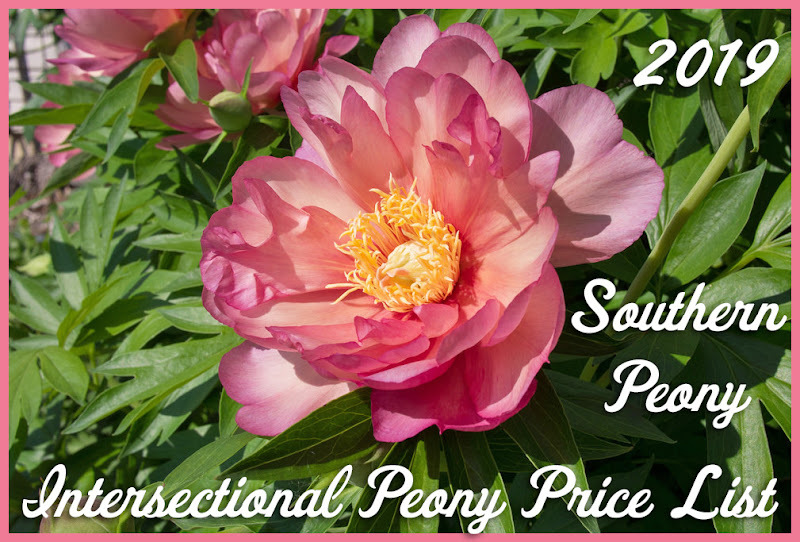 I’d like to thank the following donors for all of their help with this year’s Public Gardens Peony Donation Project: Adelman Peony Gardens, Adriana Feng, Homewood Nursery, Hollingsworth Peonies, Klehm’s Song Sparrow, and Jim & Lore Sampson of Rarity Gardens. I’m looking forward to seeing all of the peonies in bloom, and sharing those blooms with everyone! I’m also looking forward to the next Public Garden Peony Donation Project! :-)"
Since the publication of this article, the JC Raulston Arboretum has received an additional donation from Cricket Hill Garden. So on behalf of myself and the American Peony Society, I'd also like to add our thanks and appreciation to Cricket Hill Garden as well!